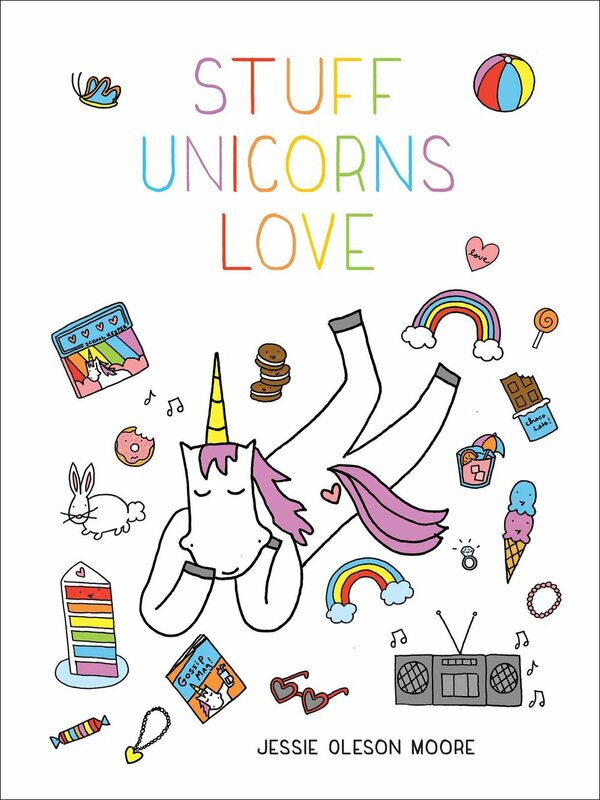 When I met High 5 Pies, the brainchild of Dani Cone (aka owner of Fuel Coffee) it was most certainly a case of love at first bite. Not only is their crust just how I like it: thick, lightly flaky, and very buttery, but their presentation is wickedly clever and cute. 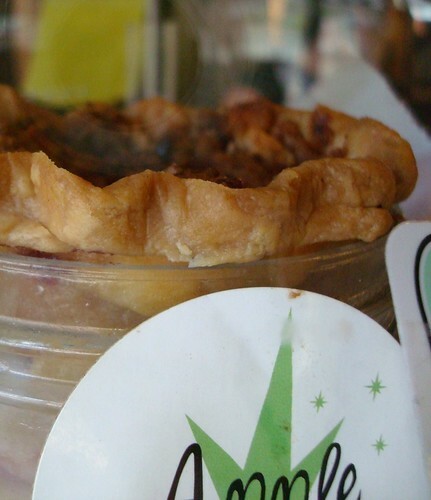 Take for instance their PieJars--pies baked right into a mason jar, which you can then heat and serve directly. It's a perfect gift, and no awkward conversations later about "Hey, can I get my pie plate back?". 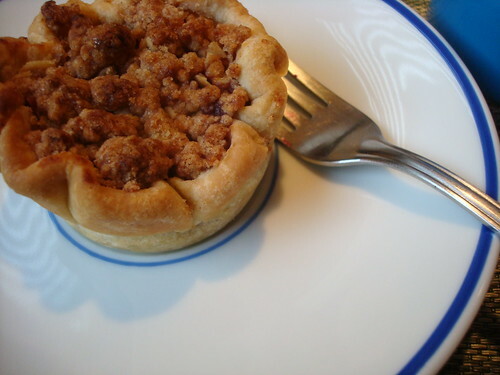 But their newest addition, Cutie Pies--mini pies baked in muffin tins--(which I just wrote a story about for DailyCandy)--will have you reeling from the cuteness. The fillings range from classics, like apple with a delicious crumb topping to unusual but surprisingly delicious combinations like peach, blueberry and clove. And as an added bonus, the high crust-to-filling ratio is tailor-made for crust enthusiasts like me who don't like it when pies are too fruity and virtuous-tasting. 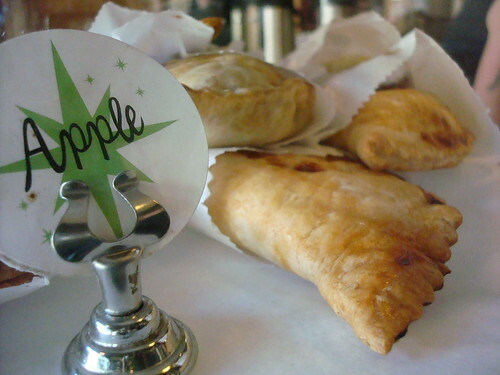 Of course, they've also got regular pies and sweet little hand pies on their menu too; check it out at high5pie.com. The pies are currently available exclusively at Fuel Coffee locations. 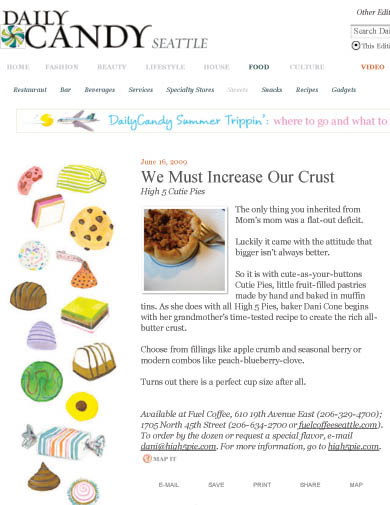 For more information on the Cutie Pies, read the article I wrote for DailyCandy Seattle! If you're going on a family vacation soon, make sure to check out Bluegreen timeshare resale rentals online to save up to 50% off the resort's prices. Do your research before buying a timeshare so you don’t find yourself asking “how to sell Bluegreen timeshare?” in the future.